Preparations are well underway for the 5th annual Bucket and Spade Charity Bike Ride. The ride is a key fundraising event for Shoreline Church, and for a number of other charities in Southport. Registration opened on Tuesday 25th March at the official Launch Party event. The ride is 75 mile mixed-ability ride that departs from Shoreline Church and arrives at Blackpool Tower, with an optional return leg. 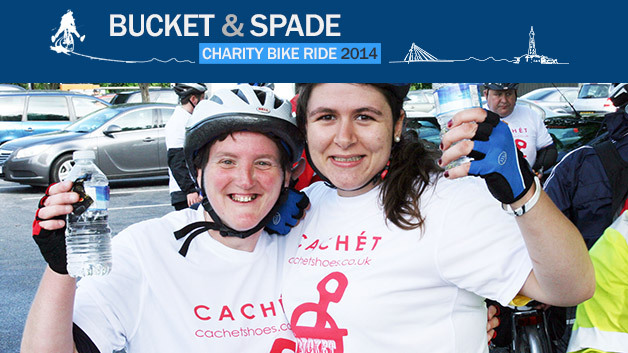 This year the ride will take place on Saturday 14th June 2014. Over 120 riders are expected to take part this year raising thousands for charities. The ride is sponsored by local businesses, including a main sponsor – this year Fusco Coaches. Riders can ride for whichever charity they choose, and the £25 admin fee each rider donates goes towards three nominated charities – Shoreline Church, Green Pastures Housing, and Next Level International. Over the years the ride has raised over £50,000 for good causes. For full information about the ride please visit www.bucketandspade.org.uk or follow all the latest information on their Facebook page.